Washington (CNN) - Phillip Maxwell wishes he had done something to stop it. Maxwell, a Michigan attorney, is still haunted by what he claims he witnessed on the campus of the state's elite Cranbrook School in 1965: a young Mitt Romney and a group of friends holding down a classmate named John Lauber and cutting off chunks of his long hair. "It was not an event you take a lot of pride in. And it was that way for all of us," Maxwell told CNN. Maxwell confirmed the story, first reported in the Washington Post. However, he insisted the incident was far worse than a high school prank. "I'm a lawyer. I know what an assault is. This kid was scared. He was terrified. That's an assault," Maxwell said. Romney said in an interview with Fox News Radio he does not recall the incident described in the Post article. But the former Massachusetts governor acknowledged he engaged in pranks that "might have gone too far" and apologized for any harm done during his time at Cranbrook. "Back in high school, I did some dumb things, and if anybody was hurt by that or offended, obviously I apologize for that," Romney said. Maxwell told CNN he is disappointed in Romney's response to the story. "He says he doesn't remember it and I find it difficult to believe," Maxwell said in a telephone interview. "It's unfortunate that Mitt simply hasn't owned up to his behavior," he added. Maxwell, who told ABC News he is a registered independent who has voted for both Democrats and Republicans, said the episode is "relevant" in the campaign as a window into Romney's character. "I guess you have to take it into account. Are you the kind of person who would stop the abuse of an innocent person?" Maxwell asked. In an interview on a separate topic for the June issue of Automobile Magazine, however, Maxwell said he will not be casting his ballot for Romney, though added praise for the candidate. "I'm a Democrat, so I won't vote for him," says Maxwell. "But he'd probably make a pretty good president. He's very smart, very principled. To this day, Maxwell regrets he will never have the chance to make amends with Lauber who, according to the Post, died in 2004. "I wish I could have apologized to him," Maxwell said. Lauber's family said they were "aggrieved that John would be used to further a political agenda," according to a statement obtained by The New York Times. 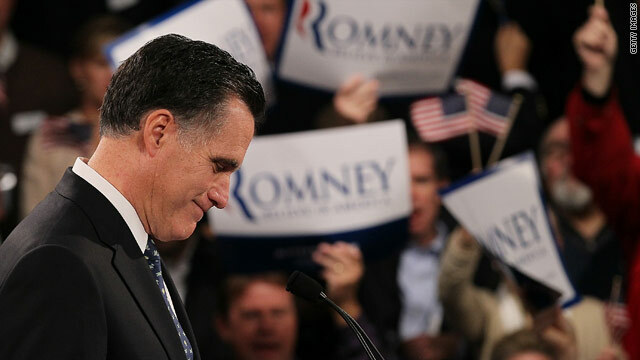 Late Thursday, the Romney campaign provided statements from other former classmates of the GOP contender. "Mitt was a thoughtful guy with a great sense of humor who cared about his classmates. He had a good perspective on how to balance all the pressures high school students face. He would never go out and do anything mean spirited. Clownish, yes. Never mean," Richard Moon, one ex-classmate said in the statement furnished by the campaign. "Mitt never had a malicious bone in his body – trying to imply or characterize him as a bully is absurd," John French, another former classmate, said in another statement released by Romney's staff. Romney campaign spokeswoman Andrea Saul said French "wasn't involved in incident and doesn't remember it happening." She did not elaborate on the statement issued by Moon. Imagine that, the sociorobot was a bully in high school and already didn't like gays. How can YOU NOT REMEMBER PINNING SOMEBODY DOWN AND CUTTING THEIRI HAIR!?!?!?!? That's NOT stupid, that shows your lack of character. You still are against anyone but the rich and what you did as a teenager does count because you were not a baby. This guy should be in jail just for lying about everything he has ever done or said. BTW Moon, he is NOT going to pick you for vp so you are as disgusting as he is. These "dumb things" are called character flaws. Mitt believes that marriage must be only allowed for a man and a woman....or a man and a few women, like his Grandpa did. Romney is obviously a liar. Five others classmates who were involved in the attack say that Romney was the guy who cut Lauber's hair and we are to believe that he does not remember doing it! If that happened now they would all be in jail. So, we have it now confirmed that Romney did indeed committed assaults against other people just for the fun of it. Typical Dems, looking anything to bring the man down. This guy Maxwell is looking for anything destory Rommys' creditability. I did stupid stuff in highschool and we all did. We were teenagers. Didn't everyone do stupid things either growing up or in college? It's not like he faked his U.S. citizenship, or belongs to a faith based on terror, or supports homos and lesbians sharing the same rights as god's people do...........sound familiar? America, get a grip. This country of ours is going over a cliff at record speed, and the lemmings keep gaining steam. Make a difference, MAKE THE CHANGE IN NOVEMBER!!!!! I cannot believe he doesn't remember this?!?! It doesn't sound like a "prank"! It sounds like an assault and a hate crime, this goes far beyond "being a bully". Please get serious about the election. It's all about jobs, jobs and more jobs. Stop with BS of gay marriage, what candidates did in kindergarten and rest of unimportant issues. Well, I don't know about anybody else, but that sounds sincere to me. More CNN anti-GOP social engineering. So, Obama's drug use, militant anti-white racism, and anti-American consorts are all normal activities??? Romney is like Thurston Howell created by Charles Dickens. If elected, he'll give us all wedgies. Romney "did dumb things in high school". Did he do cocaine like Obama? Hang out with terrorists, racists, marxists? Speaking of schooling, I'd like to know more about Obama's. Let's see his college transcripts, for starters. LOL . . .. The Romney camp is simply leaping from the starting gate before all of his past starts coming out to haunt him right out of candidacy. This moron has a whole lot more dirt in his past and all you have to do is think about the Wall Street derivatives scandal and realize that Romney was chest-deep in it while on Wall Street to know that you absolutely do not want this idiot having control of the White House. Romney did dumb things in school alright. The only problem is that he's always done dumb things and will continue to do so for the remainder of his life. It's what we expect from fools. Romney does not remember holding a kid down in high school while he and his friends cut his hair? My grandmother tells me things about when she was in high school and she is 87 years old. Sounds like Romney has early altzheimers or early dementia to me. Romney should not be President with such a mental condition.